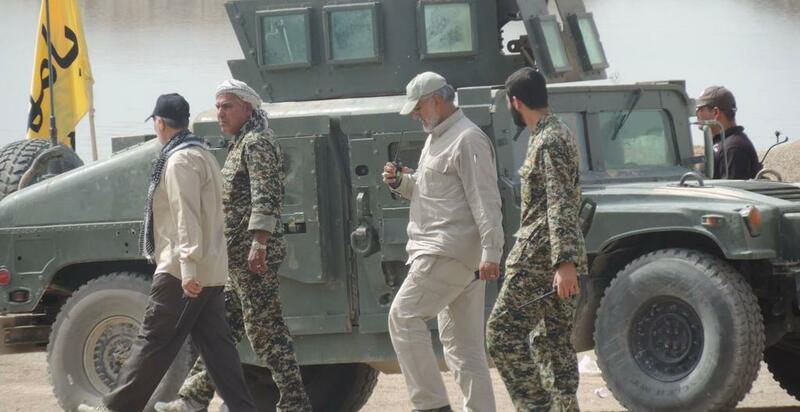 The photos published in the social media reportedly show Iran’s Quds Force Commander Gen. Qasem Soleimani back on the ground in Iraq and visiting with Badr Organization commanders and Iranian military advisers at Fallujah front on Thursday. Badr is the lead Shia militia in the Quds Force-led offensive in the Battle of Fallujah to retake the city. The offensive that began in early July has apparently stalled due to stiff resistance by the Islamic State fighters. I don't believe those militias consider themselves as Fall or Spring warriors.